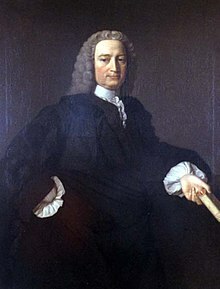 Francis Hutcheson (8 August 1694 – 8 August 1746) was an Irish philosopher. Whence this secret Chain between each Person and Mankind? How is my Interest connected with the most distant Parts of it? Men have been Laughed out of Faults which a Sermon could not reform. All our Ideas, or the materials of our reasoning or judging, are received by some immediate Powers of Perception internal or external, which we may call Senses … Reasoning or Intellect seems to raise no new Species of Ideas, but to discover or discern the Relations of those received. Whoever voluntarily undertakes the necessary office of rearing and educating, obtains the parental power without generation. The ultimate notion of right is that which tends to the universal good; and when one's acting in a certain manner has this tendency, he has a right thus to act. Francis Hutcheson and David Hume were the two most prominent Scottish contributors to moral philosophy before Smith. They had criticized the view of rationalist philosophers, such as Samuel Clarke and William Wollaston, that the judgement and the motive of moral action are functions of reason, an understanding of necessary truth analogous to mathematical thinking. Hutcheson and Hume, in contrast, took the view that moral judgement is affective, rests on feeling, and that the motive for acting upon that judgement must likewise be affective, since reason alone does not have the power to stir bodily behaviour. Kant in fact seems to have begun his reflections on moral theory as an adherent of Francis Hutcheson’s moral sense theory. Even after abandoning it, he persists in maintaining the importance of “moral feeling” and tries consistently to make a place for it within his moral psychology.